the cool stone taste of it. It is what we say when we say anything. there are pebbles on the graves. I wrote a lot of stories as a child, mostly unfinished, and a lot of poems as a teenager. I also came to love writing nonfiction and specifically using it as a way to work with others to discover and communicate their stories. So, for example, I worked with a man who had been convicted of a violent crime and spent many years in prison, and that written collaboration was published as a book called In a Dark Time: A Prisoner’s Struggle for Healing and Change. Many writers and works have been important to me and continue to be so. Rather than give a long list of names, I’ll mention one that is not so widely known: George Dennison’s 1985 novel Luisa Domic, which is about a family in Maine and the Chilean refugee who briefly stays with them. In one scene, a pianist responds to the refugee’s agonized cries as she mentally relives a traumatic event, and the music he plays isn’t just a direct mimicry of her voice but is, as Dennison writes, a way of “receiving it and enfolding it in a structure that, however minimal, constituted a kind of music that could not be heard in her voice.” The music was also a way of keeping company with her, being present. All of that applies exactly to writing, in my mind, and the process of receiving and enfolding in a structure is continually interesting to me. What other professions have you worked in? I’ve worked for an organization of family members of murder victims and family members of people who have been executed, and that close work with people affected by violent events is one thing that led me to seek formal training as a clinical mental health counselor. I now work as an outpatient clinician while also continuing to work as a writer in various ways. I always said “writer” in addition to whatever else interested me at the time, so writing was always part of the picture. Is there a city or place, real or imagined, that influences your writing? 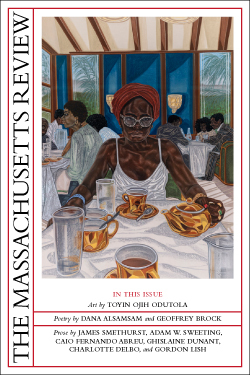 I grew up in New York City, so there are sometimes New York City images in my poems, but the Massachusetts seashore and several other landscapes also come in. Not really, except maybe the ritual of reaching a point of thinking that the piece is impossible and never going to work and then gradually finding a way to crawl back up from that feeling. My husband and a good friend typically read early drafts of prose. For early drafts of poems, it’s friends I have been in workshops with over the years: one friend from a workshop that began in the 1990s, and others from the wonderful Bear River Writers Conference, which I’ve been going to since 2007. I don’t actually, literally want to work in these forms, but writing feels most to me like sculpture – the tactile sensation of it, the feeling of getting your hands into it and shaping it, or removing what’s unnecessary to reveal the underlying form – and photography, in the sense of looking at a something and deciding how to frame it, what does and doesn’t belong. I’m gradually accumulating a collection of poems that in some way have the image or idea of breaking. Often that means something having to do with discovery or realization or intensity of feeling. Breaking can have a lot of connotations and can evoke hopefulness as well as despair, so there’s a lot to work with. 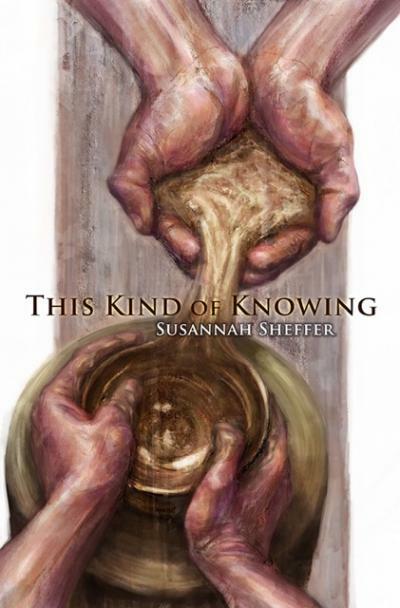 SUSANNAH SHEFFER’S poetry chapbook, This Kind of Knowing, was published by Coo­per Dillon Books in 2013, and other poems have recently appeared or are forthcoming in Barrow Street, The Examined Life, and Bear River Review. She works with people who have experienced various kinds of trauma, and her book Fighting for Their Lives: Inside the Experience of Capital Defense Attorneys was published by Vanderbilt University Press in 2013. She lives in Sunderland, MA.